Do you fear the muffin man? I used to. But these simple little muffins changed everything. Now, you might recall that in the Kitchen Cici episode “Seriously Amazing Blueberry Muffins,” there were quite a few careful steps. I mean, those amazing blueberry muffins took some real deep-seafood-fried cooking patience. Don’t get me wrong—I love my pretty, perfect, delicious muffins. I just don’t want to go through 11 steps of salivating torture while I’m hungry, tired, and dressed in my fuzzy farm-animal pajama pants. 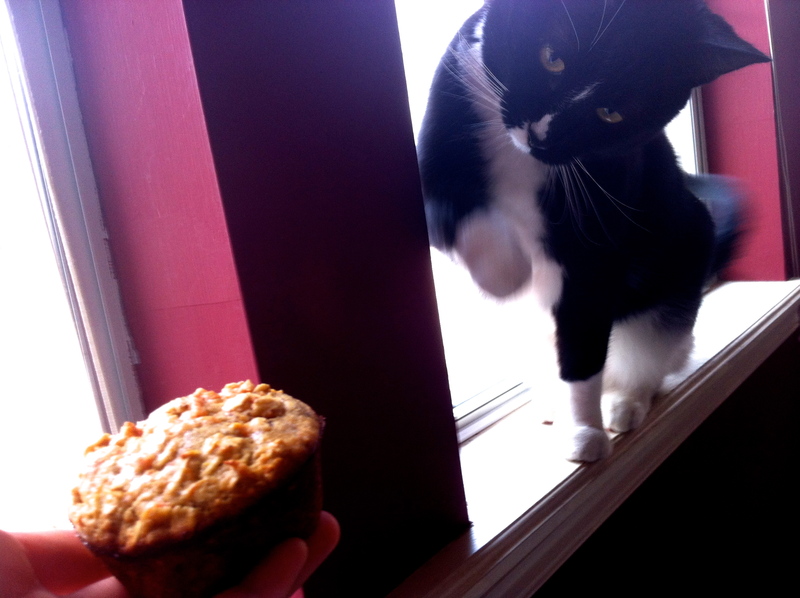 So here, my friends, is a nice little muffin for those mean little mornings. 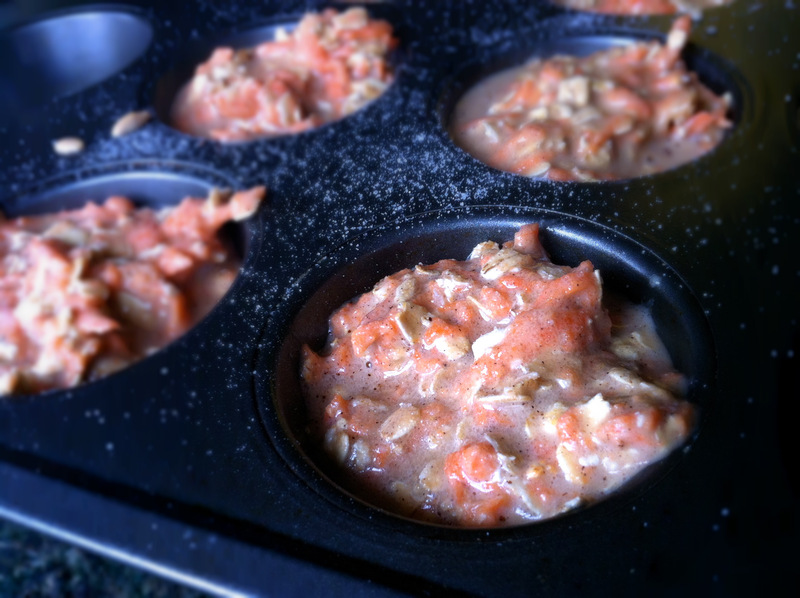 One muffin tin, one lazy morning, one nation, under muffins, with muffins and muffins for all. You can hardly taste the carrots, but they do certainly lend a delicious moistness. The brown sugar + cinnamon combo gives the muffin a lovely warm taste, and with the amount of sugar added these muffins aren’t overpowering at all. I’m not clueless enough to call these muffins “light,” but as far as cinnamon rolls go, feel free to eat all 12 of them. Haha, kidding (not really). Preheat oven to 400°F. Yes, that’s what I said. No, I’m not mad. 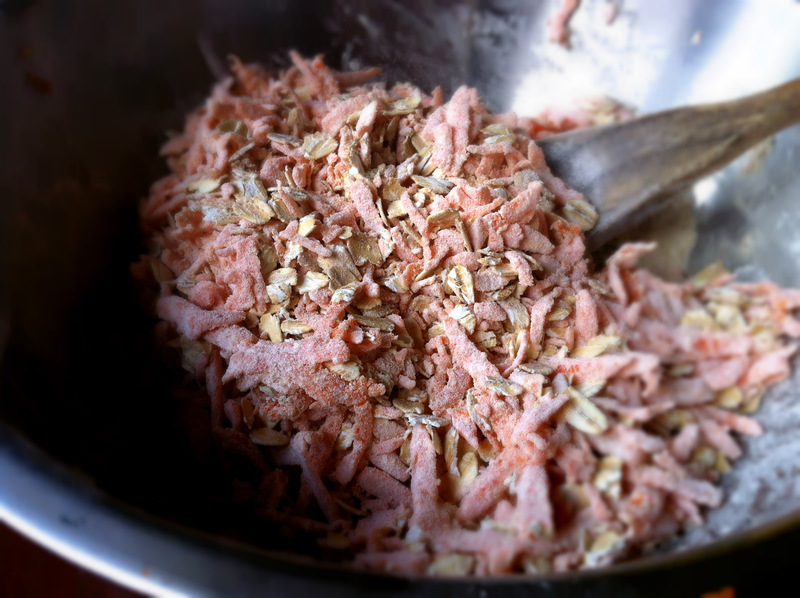 Mix together dry ingredients: flour, oats, white sugar, brown sugar, salt, baking powder, grated carrots, cinnamon. Whew. 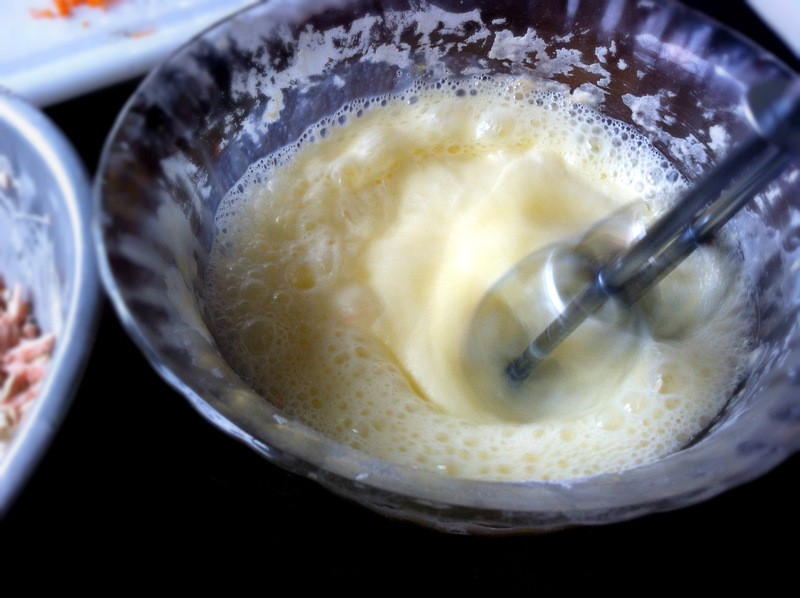 Beat together the eggs and milk and vegetable oil. Now pour into the muffin tin. Yo. Bake for about 15 minutes, until they’re golden brown on top and edges. So does the maple syrup. Oh yum! This sounds delicious. I can’t wait to give it a try. Wow, these look really good! 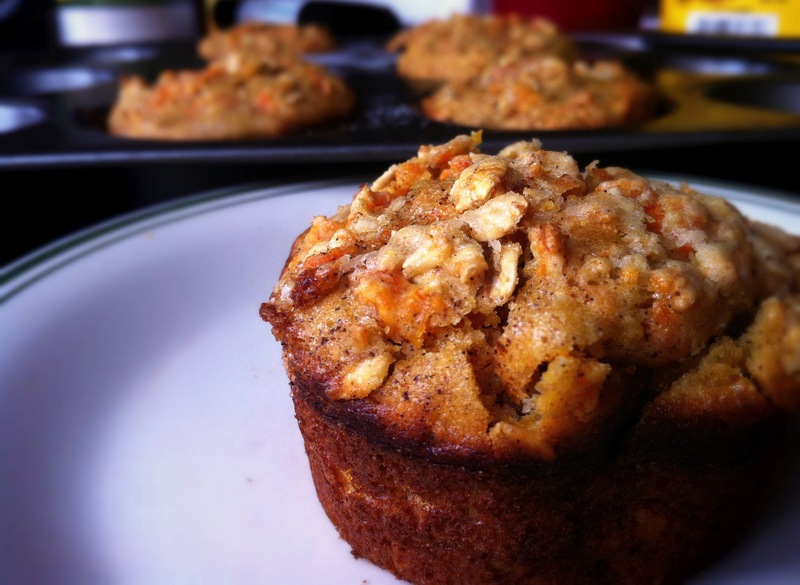 I love carrot breads and muffins – can’t wait to try these! Do you think I could dial back the sugar a bit and still get a tasty muffin? I’m looking to make these as a mid-morning or afternoon snack. You could dial back the sugar a bit, but I have to warn you that it doesn’t really taste sweet if you do–it’s kind of bland. (I tried it with one cup of sugar the first time I made these) However! If you serve with a dash of maple syrup, you can’t really taste the blandness at all. So go for it, and tell me how it goes! 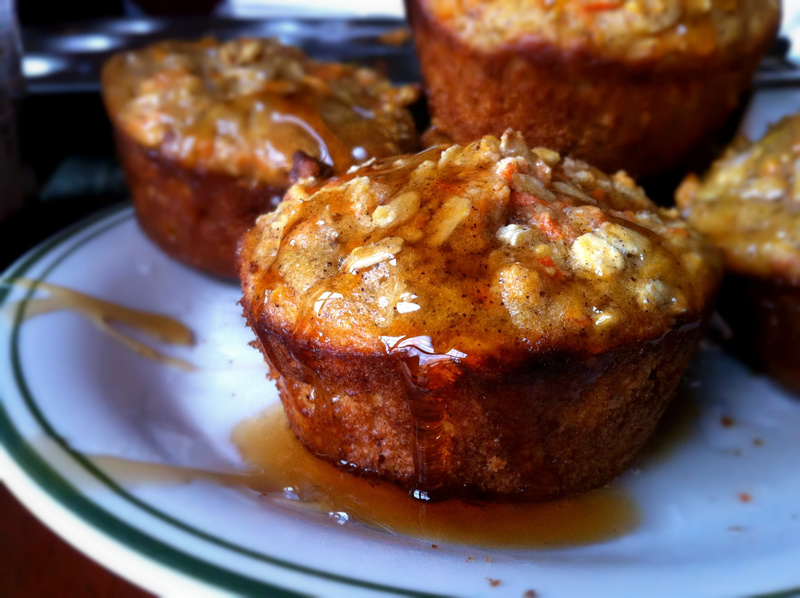 Maple syrup on carrot/oatmeal muffins. Genius! 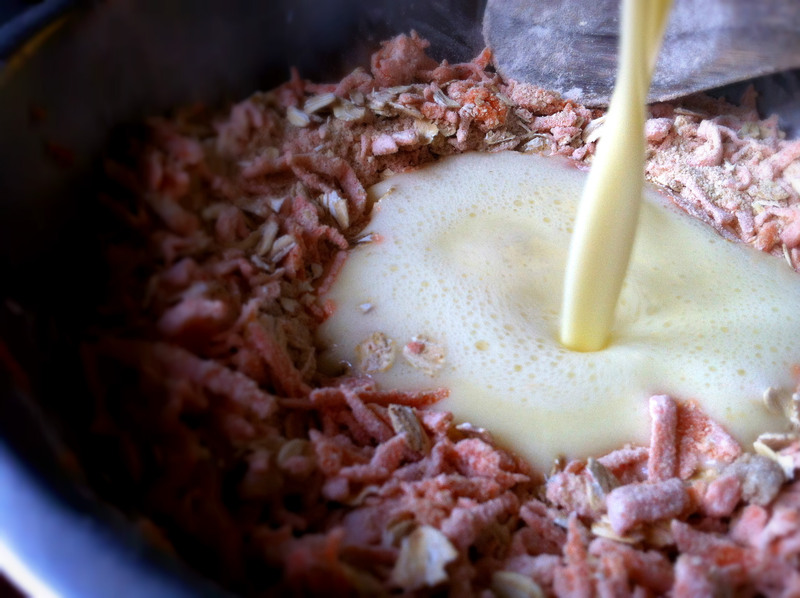 Oh and I can’t see the cooking time/ temp (I really should be wearing my glasses…). What is it? Hahaha, I can finally get round to making them now!